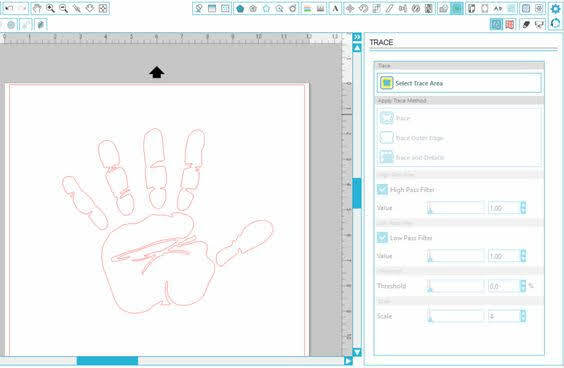 The detailed tracing capabilities is one of my favorite things about Silhouette Studio. But it can be frustrating when you can't get a good trace on a photo, so I've learned to use a hidden little gem of a tool to make tracing easier. 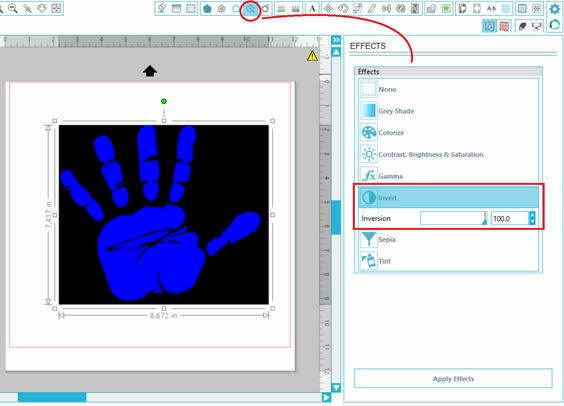 Silhouette School weekly contributor Becky Dykes is here to show us how the Invert Effect - which is hidden away in the Images Effects tool on the right sidebar - can be a lifesaver for hard to trace images. So what is the Invert Effect and how do you use it? 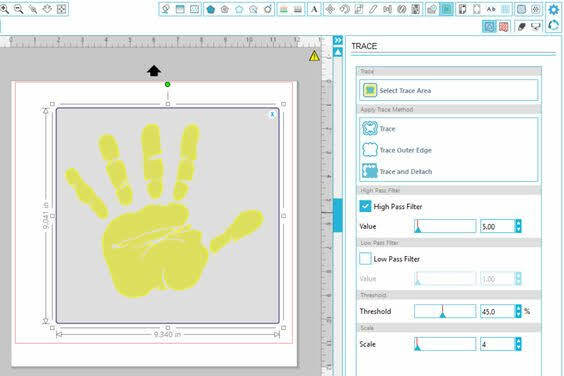 As I mentioned the Invert Effects is found under the Shader Effects menu as was detailed in this Silhouette Studio tutorial if you need a refresher. 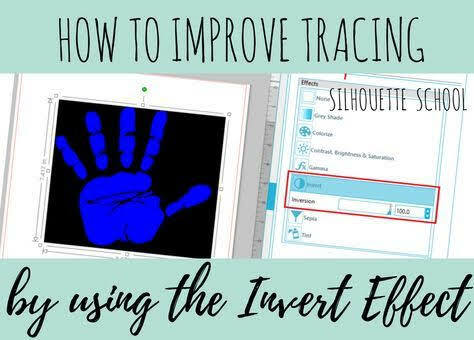 So, how does the Invert option help you with Tracing? Let's take a look at a more difficult tracing project --- tracing with little contrast. Since tracing in Silhouette Studio works on contrast, when there's little contrast like in this example, it's difficult to get a good trace! The yellow and white don't offer much contrast for the tracing option to be successful. 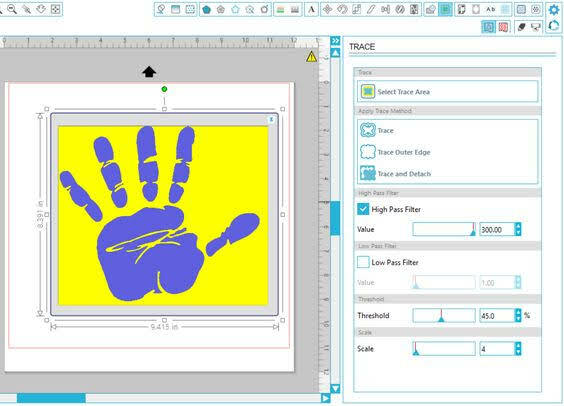 With careful tuning of the tracing features, tracing is still possible. However, since there's not much contrast and you'll need to adjust scale and threshold significantly, the trace may not produce clean or crisp lines. This is where the Invert function comes in. 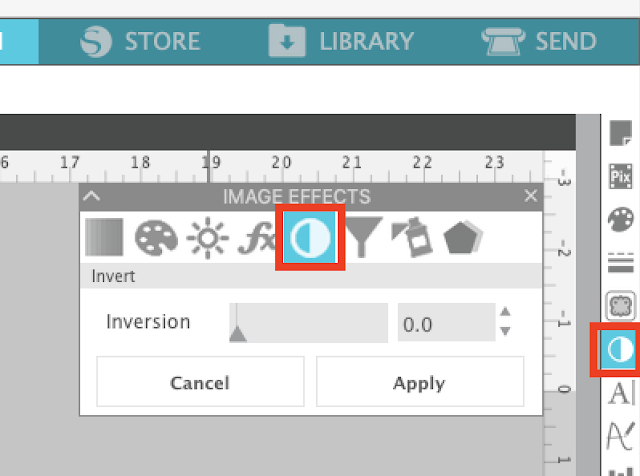 With the photo selected, open the Shader Effects menu and choose Invert. Move the inversion all the way to 100%. 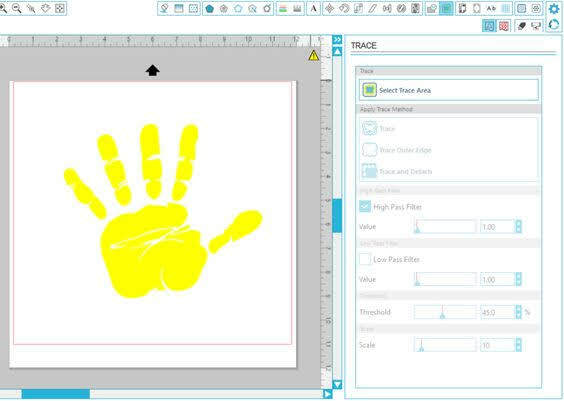 In this example, the white background turned black and the yellow hand print turned blue. Keep in mind that the colors will vary during the Inversion process, but typically light colors turn dark and vice-versa. Now when you attempt to trace the photo, with the new darker colors, it becomes a piece of cake. So while the Invert tool won't be the answer to all of your Tracing problems, it's a good tool to have and a good function to play with for future use. Give it a try for yourself! I have a photo of a white coffee mug on a white background. I tried to use this lesson to remove the white background by inverting, tracing and detaching but it did not work at all. But at least I know about the invert button now! I was using another program to invert my hard to trace items but it seems this may be easier. Hopefully I can get it to work on something else. Thank you for the lesson! Amazing as usual! Just what I needed. Thank you so much Melissa. I got the Cameo on a whim for cutting stencils in a foreign alphabet but it's mind boggling what can be done with it. Thanks so much for sharing this- I tried it on one of my scanned designs that I have been having trouble with and it worked perfect! I am having difficulty with tracing another dropped in design I want to use - with just getting a crisp, clean outer trace line of the outside shape of the design. I want only the outside lines but it keeps picking up many of the detail lines - I guess because they are part of the outer line? Any tips for this? Maybe you have a tutorial up already that I missed?